Slow cooked ham that is moist and flavorful without any fuss. 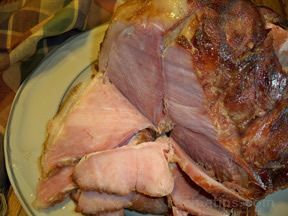 You won't want to go bake to baking your ham in the oven after trying this simple but delicious slow cooked ham recipe. 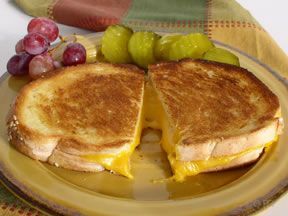 This classic sandwich with melted cheese is a favorite for kids of all ages. This is a great fruit salad; but, if you do not want to fuss with a salad, you could just serve some of your favorite fresh fruit. 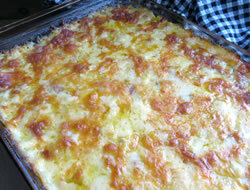 Hash browns, ham, and cheese all in one dish for a tasty casserole that your family is sure to love. This is a perfect dish to prepare when you have leftover ham. Bake your own chicken or use a rotisserie chicken or find some fajita chicken strips in your freezer section. The green enchilada sauce will be a new favorite for everyone. A quick and healthy dinner perfect for a weeknight. 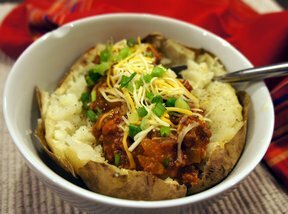 Great way to use leftover chili. Bake your potatoes in the oven if you have the extra time to get the skins crispy. 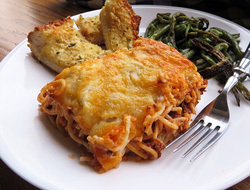 Layers of spaghetti, sauce and cheese make up this tasty pasta casserole. 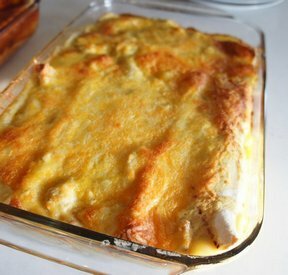 Young and old will enjoy this hearty dish and it will be one that they ask for time after time. 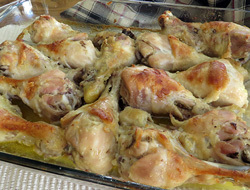 Always a kid's favorite, these chicken legs are super easy to make. Your will find yourself making these often for a quick and easy supper for those busy weeknights. There currently aren't any reviews or comments for this article. Be the first!